Improvising improvements while I sew is standard with me. Even when I have a pattern to follow, I usually change it. For some reason, I rebel against the instructions, not always with the best of results. In this case however, things worked out nicely (with only one minor oops). 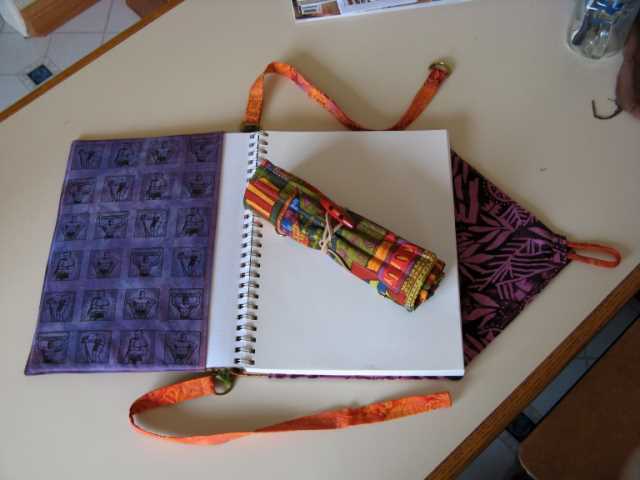 Here are pictures of the sketchbook cover/carrier and the “matching” pencil roll I made for my sister for her birthday. 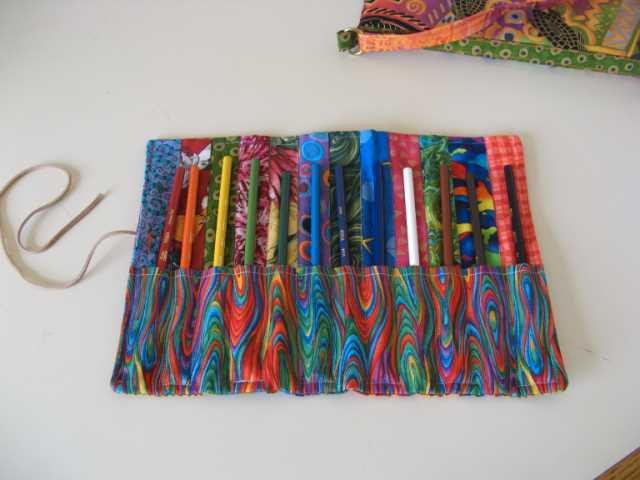 The pencil roll pattern is from Cloth Paper Scissors’ 2008 Studios issue that came out this past April. 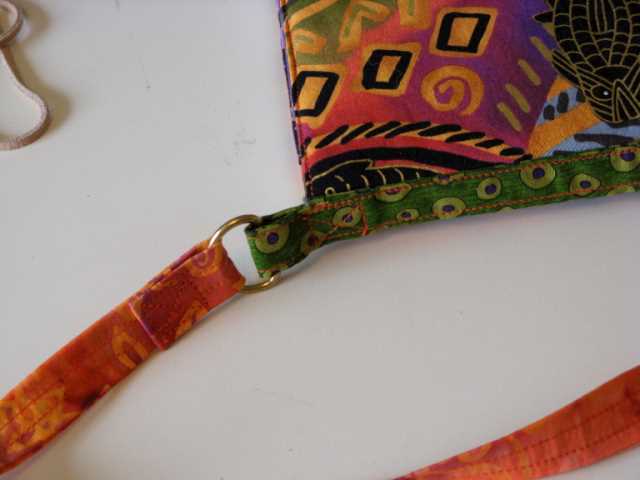 My modifications for this pattern were minor – I just added the little D-rings so the roll can be carried on the sketchbook carrier’s strap. 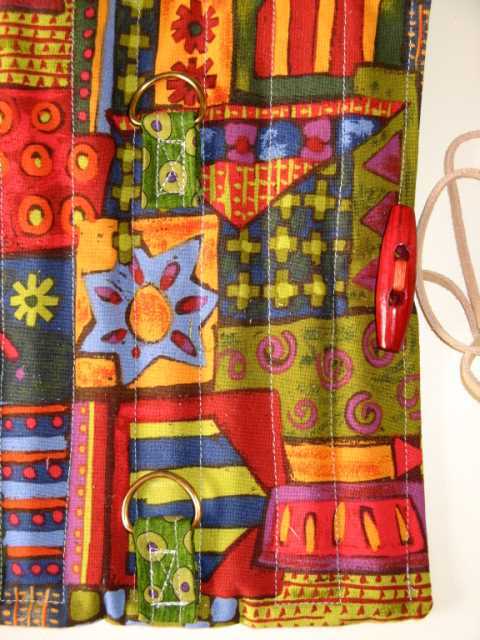 Of course, the first time I sewed them on, I wasn’t paying close enough attention and wound up sewing the pencil pocket shut. I really enjoyed using the D-rings as connectors. They made the final product look sturdy and professional. 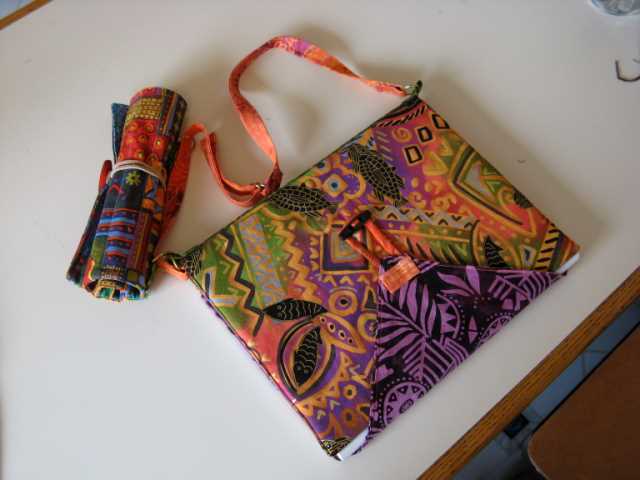 And playing with fabric, which I haven’t done for months (due to a disaster of a studio), was really satisfying.